The Valley Indians’ bats came alive in their win over Portsmouth Tuesday night to improve their record to 2-1 in 2019, while the Trojans fall to 0-1 after their season opener. Jared Morrow had an impressive game at the plate in the Trojans victory Tuesday night with a game high 4 RBIs after going 3/3 at the plate with a walk. Two of Morrow’s three hits resulted in doubles to help lead Valley to the win. Tanner Cunningham drove in three runs in the victory, while Jesse Jones, Jake Ashkettle, and Connor Fell each drove in two runs apiece. Breckon Williams pitched three innings for Valley giving up no hits with one earned run while Kayden Mollette came in for relief pitching two innings, giving up three hits and one earned run as well. Valley will travel to Waverly in the first game of their double header Wednesday before hosting the Tigers on Friday. Portsmouth will face Miami Trace Wednesday at the VA in Chillicothe with a chance to pick up their first win in 2019. In their season opener in 2019, the Green Bobcats picked up an impressive four run win over the Fairland Dragons to improve to 1-0 in 2019. Senor Tanner Kimbler pitched a two hitter with zero earned runs given up during his five innings of work, while also striking out nine batters. Green added their first runs of the game in the first inning when Levi Singleton knocked in Kimbler and Bryce Ponn for a two out double to take a 2-0 lead over Fairland. “That was a big hit by Levi,” said Bobcats head coach Danny McDavid. RBIs by Ponn and Tayte Carver in the fourth and sixth innings helped extend the Bobcats lead before the final score reached it’s spot by game’s end at 5-1. Green will head back to Rock Hill Wednesday night to face the Rock Hill Redmen with a chance to improve to 2-0. South Webster fell Tuesday night in a road trip to face the Wellston Golden Rockets, 5-0. Tuesday’s loss drops the Jeeps to 0-3 in 2019. They will face Portsmouth West at home Wednesday with a chance to improve to 1-3. In their season opener Tuesday night, the Clay Panthers softball team bested the Valley Indians 10-0 in five innings on their home field. 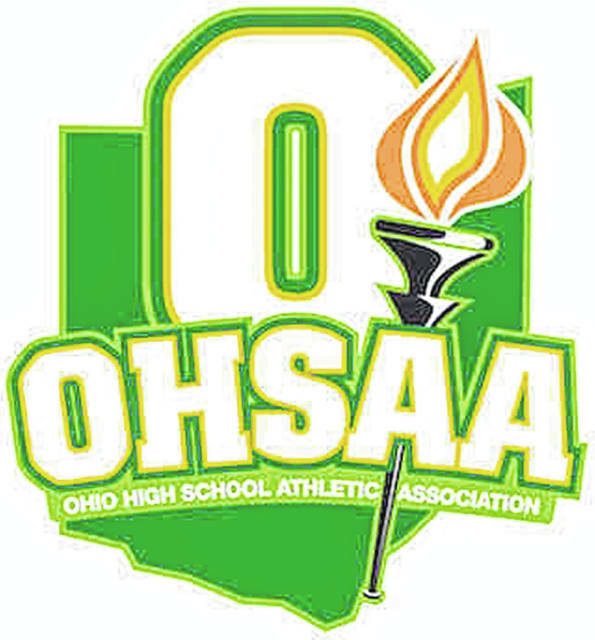 Clay’s first win 2019 marks win number 799 in program history for the Panthers which ranks third all time in OHSAA history. Wednesday, Clay will have their opportunity to get win number 800 in a road trip to Latham to face SOC I foe Western. In Tuesday night’s game, Hannah Oliver and Preslee Lutz combined to throw a one hitter in their five innings of work while also striking out 11 of the 17 batters they faced. Megan Bazlar finished 3/4 at the plate while driving in three runs and scoring a run herself. Shaley Munion drove in two runners while going 2/3 at the plate while teammate Lila Brown crossed home plate three times in the Panthers season opening victory. Kensie Spencer finished with the lone hit in Valley’s season opening loss. Clay will face Western on Wednesday with a shot at program win number 800 while Valley will travel to Waverly on Wednesday to try and pickup win number one on the season. New Boston picked up their first win in 2019 with an opening day home win over Ironton St. Joe Tuesday evening. The bats really came alive for the Tigers in their first win of the season, Taylen Hickman and Lexus Oiler in particular. Hickman finished Tuesday’s win 5/5 at the plate with a game high four RBI and three runs scored while Oiler finished 4/5 at the plate with two RBI and two runs scored. Morgan Rawlins led the Tigers with a game high four runs scored. Hickman also took care of her duties on the mound in her excellent performance. The do-it-all junior finished with six innings pitched while allowing just six hits and two earned runs, despite the Flyers putting up six runs on the board. New Boston will face the Green Bobcats Wednesday afternoon with a chance to improve to 2-0 in 2019. South Webster softball fell to Wellston Tuesday night, 12-2 to drop their record to 2-2 on the season. The Jeeps will face Portsmouth West at home Tuesday with a chance to improve to 3-2.